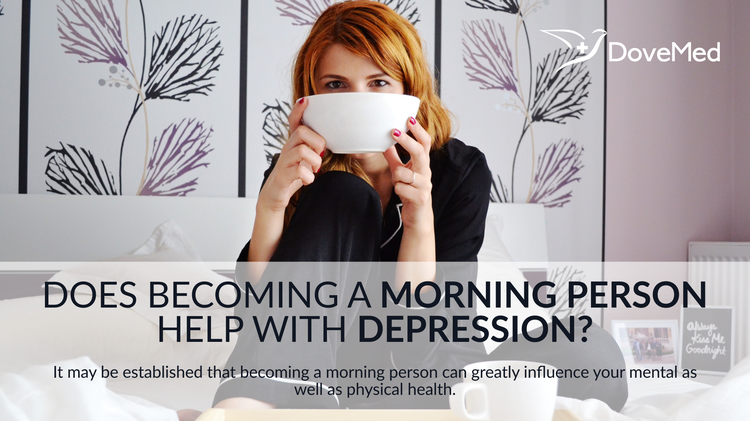 Does Becoming A Morning Person Help With Depression? Scientific research has established that being a morning person helps with depression. One of the founding fathers of America, Benjamin Franklin, once exclaimed, “Early to bed and early to rise, makes a man healthy, wealthy and wise”. And now scientific studies have proven that he was right. So if you are feeling blue lately, you might want to change your sleeping patterns and turn into a morning person to have a more positive outlook in life. Scientific research has established that being a morning person helps with depression. A team of researchers at University of Toronto questioned 700 adults about their sleeping habits, energy level, metabolism, general health, and mood. It was concluded that subjects who woke up early in the morning, around 7 a.m., were associated with a 19-25% boost in “feeling positive” or general feeling of alertness, liveliness, cheerfulness, and improved cognitive functions. For those who are suffering from depression, waking up early can help treat the condition and impart a sense of well-being. Another research study, conducted at Aachen University in Germany in 2012, also discovered that there is a direct link between our sleep pattern and mood. The scientists concluded that of the percentage of people who chose to wake up early morning, which was only 12%, had considerable structural brain differences, which made them a more cheerful lot than the rest who were categorized as “night owls”. These “night owl” people were reportedly suffering more frequently from sleep disorders accompanied with depression and anxiety disorders than those who woke up early. After obtaining conclusive proof, it may be established that becoming a morning person can greatly influence your mental as well as physical health. So how does one make the transition to become a morning person? A few steps can be taken and included in your schedule each day to help the transition to becoming a morning person. Engaging yourself in early morning workouts such as yoga, low-intensity jogging, and light cardio activities can help warm your body and kick-start your system for a better, more energized day. Not only does a quick workout regime help you maintain your optimum weight, but also helps you make healthier food choices. By becoming a morning person, your metabolism will also improve, making you more active. With a healthy body, your hormone levels will automatically be regulated with increased production of dopamine, giving a feeling of mental and emotional stability. Hence, by changing your sleep patterns and choosing to wake up in the morning at an earlier time, you can tone down depression and evolve into a happier and healthier individual. Hu, Y., Shmygelska, A., Tran, D., Eriksson, N., Tung, J. Y., & Hinds, D. A. (2016). GWAS of 89,283 individuals identifies genetic variants associated with self-reporting of being a morning person. Nature communications, 7, 10448.